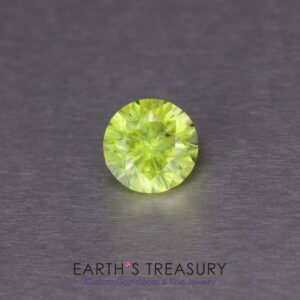 A beautiful yellow to yellow-green sphene, very clean for the species and large at 5.01 carats. 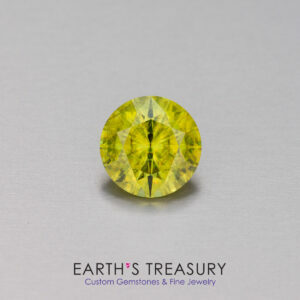 The mineral titanite is known as sphene in the gem trade. 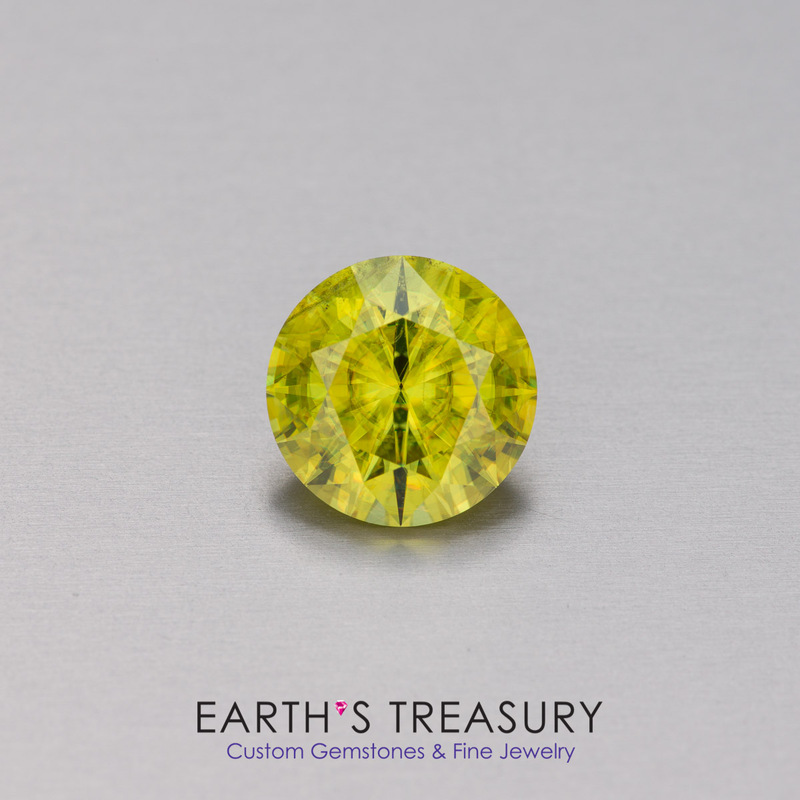 Gem-grade titanite is quite rare, and is prized because of it’s high refractive index and dispersion that is higher than that of diamond. Because of these characteristics, faceted sphene makes for an incredibly beautiful gemstone, although it is rarely clean. This gem is quite clean for a sphene of this size; there is just one small veil tucked off to the edge where it is almost invisible without a loupe. When held in the hand it shows flashes of pale green and golden yellow, and in sunlight or other bright light the dispersion gives it an incredible fire. I faceted this sphene in the classic diamond round brilliant design, optimized for sphene to maximize the brilliance and fire. The resulting gemstone is remarkably brilliant and scintillating in the hand. It weighs 5.01 carats and measures 10.5 x 7.0 mm. This is a true collector’s gemstone!